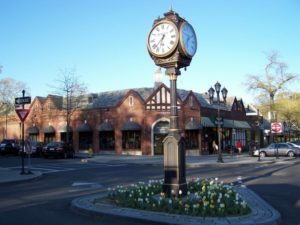 About Scarsdale, NY – Happy to be your hometown Heating & Air Conditioning Contractor! Founded in 1788, Scarsdale was the scene of action during the Revolutionary War when opposing armies briefly clashed at what is now the junction of Garden Road and Mamaroneck Road. Sire William Howe, the British commander, set up headquarters and lodged at a farmhouse on Garden Road that remains standing to this day. Scarsdale’s wartime history inspired James Fennimore Cooper’s novel, The Spy, written while he lived at the Angevine Farm in the present-day Heathcote section of town. With a population approaching 18,000, Scarsdale is sectioned off into five neighborhoods, each with its own elementary school bearing the neighborhood’s name. If you find at least some comfort in “all’s well that ends well,” then you also realize that nothing is well when you have no heat, or not enough to do you and your family much good. Where and how does the safety factor come into play? Well, among our many preventative maintenance steps, we check and tighten all electrical connections to help guard against electrical fire.